Found as the NEW TWO BREWERS 1810 to 1843. Thomas Cubitt married Sarah Bell at the Norwich Registry Office in 1846. They were running the Jolly Brewers from December 1849. By 1861 Sarah Johnson was employed as a housekeeper, by whom Thomas Cubitt fathered 9 children. Thomas Cubitt and Sarah Johnson lived as a couple for 20 years but never married. The fate of Sarah (nee Bell) Cubitt is unknown. It is unclear if the Sarah Cubitt given 1878 is really Sarah Bell or Sarah Johnson. 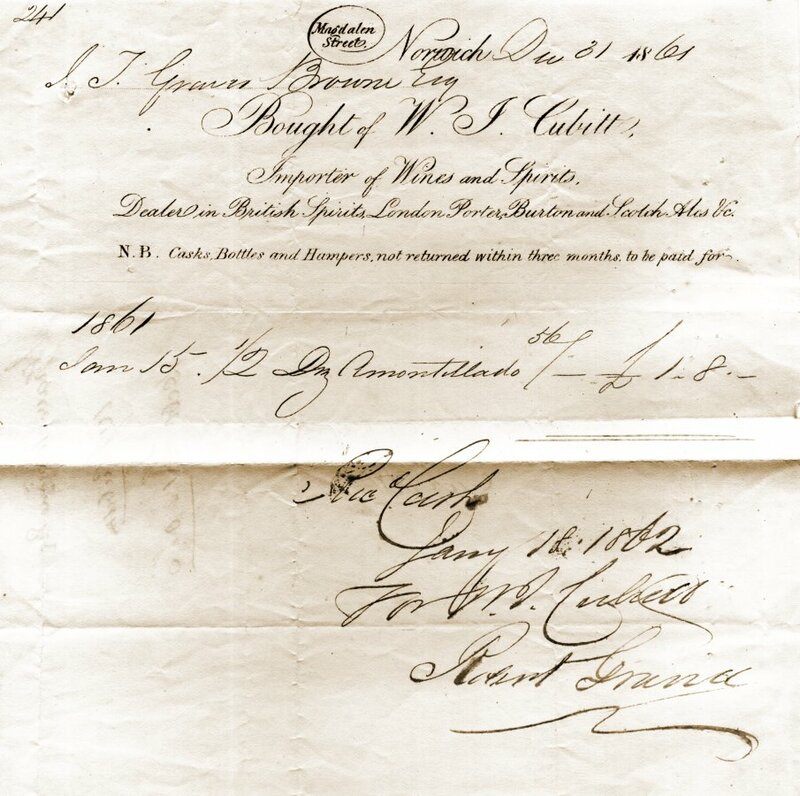 1861 invoice for 6 bottles of sherry. A singing licence was granted Tuesday 8th May 1945.